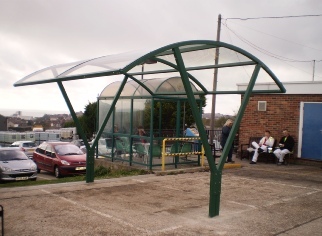 ‘SHELTERS4you’ IS A TRADING NAME OF EDWARDS BUILDING & MAINTENANCE LTD.
We offer a wide range of products in the smoking shelter range. 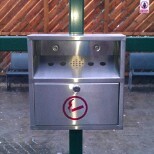 We can also install a variety of ciggarette stub bins and Waste bins to suit your needs. 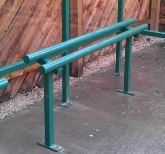 Also included in our range of products are various styles of benches and seating arrangements. 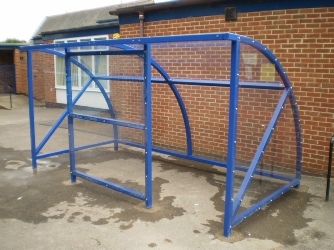 It should also be noted that a significant number of our cycle shelter designs comply with the current smoking shelter regulations. 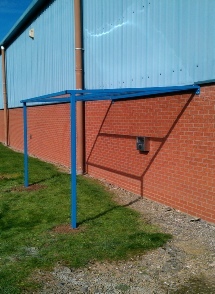 This simple smoking shelter can be made to any size and can have a perch bench and stub bin installed. It can also have a mono curved roof to add style. 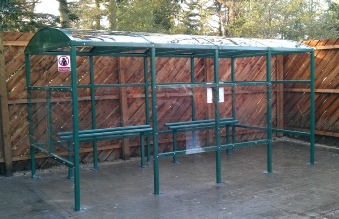 This smoking shelter can meet all your needs at a very low cost.